For example, with shipping classes and Flat Rate Shipping, it’s possible to create different flat rate costs for different product types, like bulky items and small items.Shipping classes are used to group products – they are not used directly to offer shipping rates to customers. To set up shipping rates, configure Shipping Zones, and then add your shipping class costs to a shipping method, like Flat Rate. 1./ Go to: WooCommerce > Settings > Shipping > Shipping Classes. The screen lists existing classes. 2/ Click the Add Shipping Class button beneath the table. A new row appears. 3/ Enter a Shipping Class Name and description. Slug (unique identifier) can be left blank and auto-generated, or you can enter one. 1/ Hover over Shipping Class Name. Options appear. 2/ Click Edit to revise the name, slug or description. Or click Remove to delete the shipping class. To apply these rates to a specific class of products (e.g., bulky or heavy items), you need to assign them. 2/ Select the product, and click Edit. 3/ Go to Shipping, and select the Shipping Class from the dropdown. Each product can have one shipping class. 4/ Update the product to save changes. 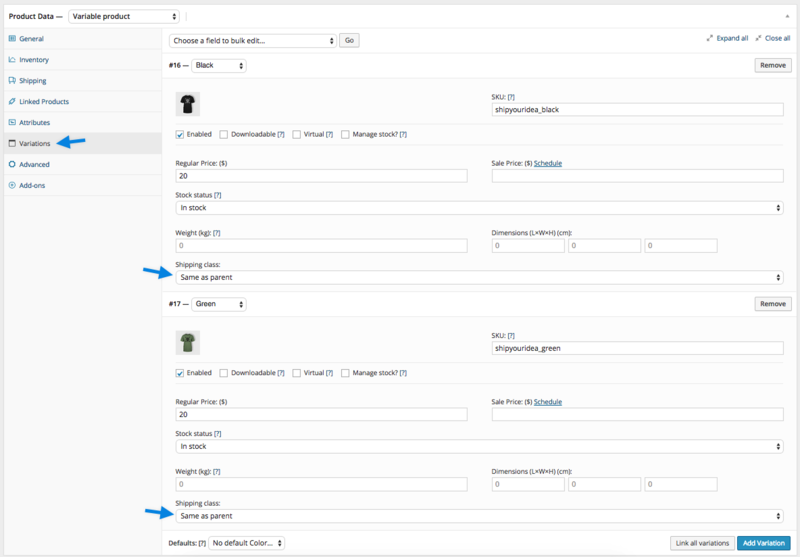 2/ Select the products you want to edit by ticking boxes on the left-hand side. 3/ Select Edit from the Bulk Actions dropdown, then Apply. A new screen appears. 4/ Select a shipping class from the dropdown. 5/ Update to save changes.